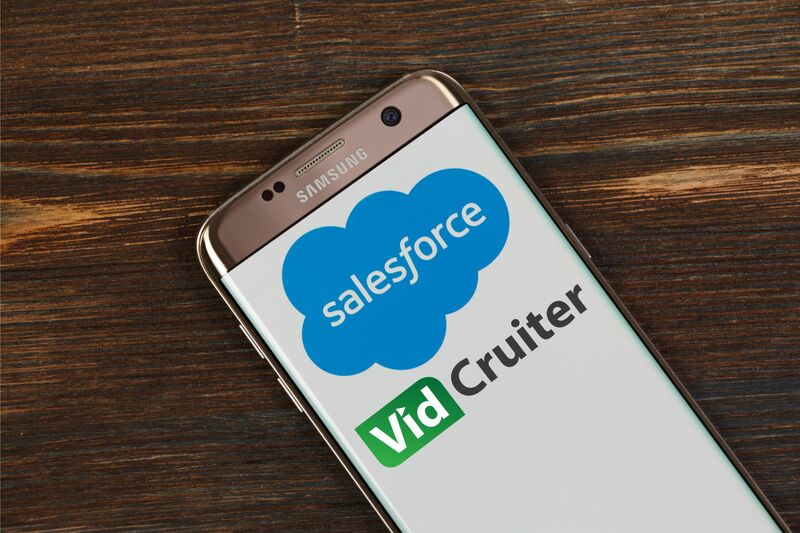 VidCruiter, a SaaS company with the goal of making recruiting as easy as possible for organizations, is pleased to announce it has integrated with Salesforce. Salesforce is an industry-leading customer relationship management platform (CRM) that can also be used as an applicant tracking system (ATS) for recruitment purposes. VidCruiter is already integrated with a number of applicant tracking systems, and we are excited to add Salesforce to our list of integration partners. The integration helps by allowing all the applicant data from Salesforce to flow into the VidCruiter system, which will automatically create an applicant profile and trigger the next steps in the VidCruiter platform. This works no matter what product you’re using, be it video interviewing, reference checking, or any other solution we offer. Once the VidCruiter phase is complete, the new data will be transferred back into Salesforce, ensuring both software have all the information you need about a candidate. VidCruiter is a software company which focuses on helping all organizations hire great talent. We specialize in video interviewing software, but provide solutions for all stages of the recruitment process and are dedicated to helping you find great employees as fast as possible.